Educators are expecting professional learning to represent the ideals of modern education. A popular topic focuses on reimagining physical learning spaces in schools. What about digital learning spaces, how can we reimagine them? One way is to take a traditional learning activity, such as a professional conference, and give it new life with inviting and engaging digital spaces. Here are three ways you can raise your EdCamp game using Schoology. Use Schoology to "flip" the essential introductory material. 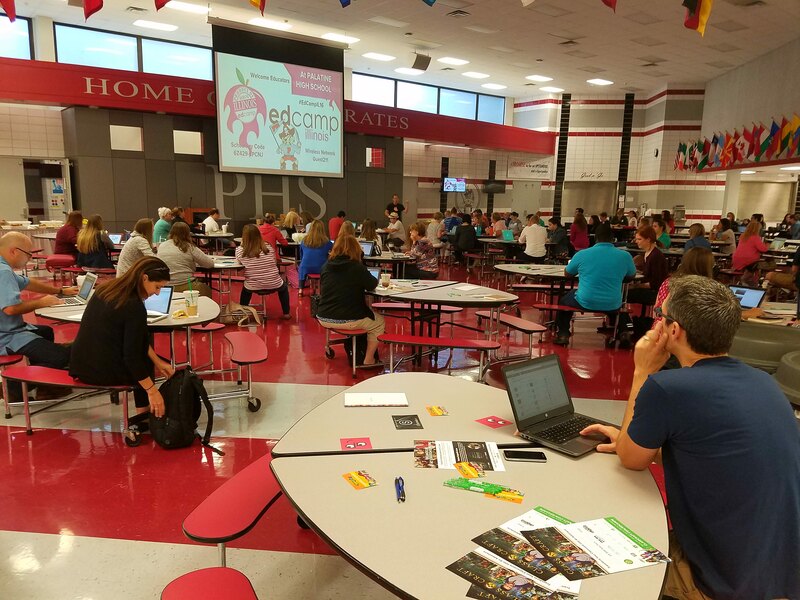 Last Saturday, we hosted EdCamp Illinois at Palatine High School. Our three-hundred ticketed attendees received an email message a few days before our "unconference" containing a course code and simple instructions for creating a Schoology account. The first folder of course materials included maps, schedules, and instructions for making the most of the EdCamp experience. This strategy helped us shave ninety minutes off of our day-long program while preserving face-to-face interaction time. There's no need to have meeting time to discuss what learners can review on their own. From the start, attendees are better prepared to engage and contribute having been welcomed virtually. Use Schoology to give participants opportunities to contribute to learning. EdCamps are popular events for educators to connect and learn through an organically created agenda. First-timers and reluctant speakers can contribute to sessions by sharing ideas and resources in Discussions, Updates, and Media Albums. Embedding interactive web objects in Schoology is easy. We integrated a Padlet wall so participants could share favorite resources and takeaways from the morning sessions. We also embedded the session schedule, a published Google Doc, so members could access all of the collaborative documents and have real-time awareness of schedule adjustments. You can view our EdCamp Illinois Schoology course because we can share materials transparently by adjusting the course privacy settings. Use Schoology to support your mobile learners. 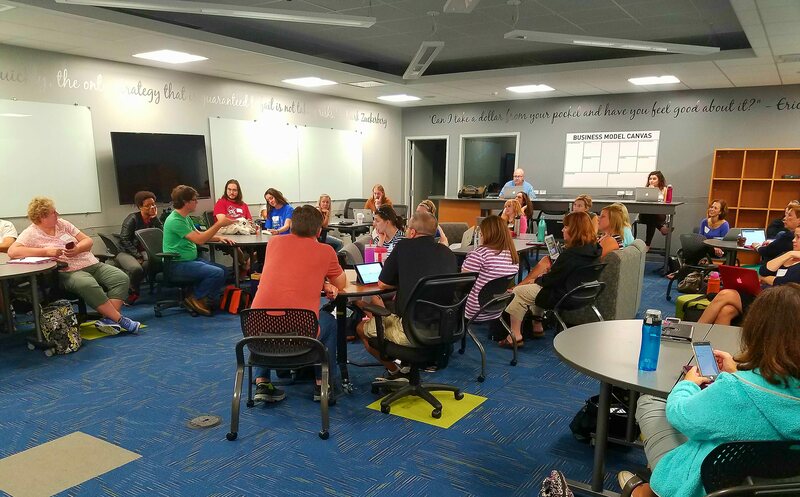 The three must-haves for a successful EdCamp are meeting space, food, and wi-fi. Mostly wi-fi. Some would add coffee and restrooms to this short list. Some attendees bring laptops, some bring tablets, and all bring their smartphones. Our attendees could choose between the Schoology web application, or the Schoology mobile app to stay connected and engaged with the various EdCamp activities. Like our 1:1 students, EdCamp participants can use their digital devices to capture and share learning experiences as they happen. With everybody in seemingly constant motion, it's important to have a virtual meeting place available. Most importantly, our attendees had opportunities to provide feedback and reflect upon their EdCamp experiences through embedded forms and discussion boards. Schoology, our digital learning space, allows EdCampers to connect and learn far beyond the constraints of time and physical location. Our attendees were prepared to connect, contribute, and engage more deeply in personalized, professional learning. Whether you're a host, organizer, or participant, Schoology can elevate the effectiveness of your EdCamp. What other ways can Schoology be used to take EdCamps to another level?